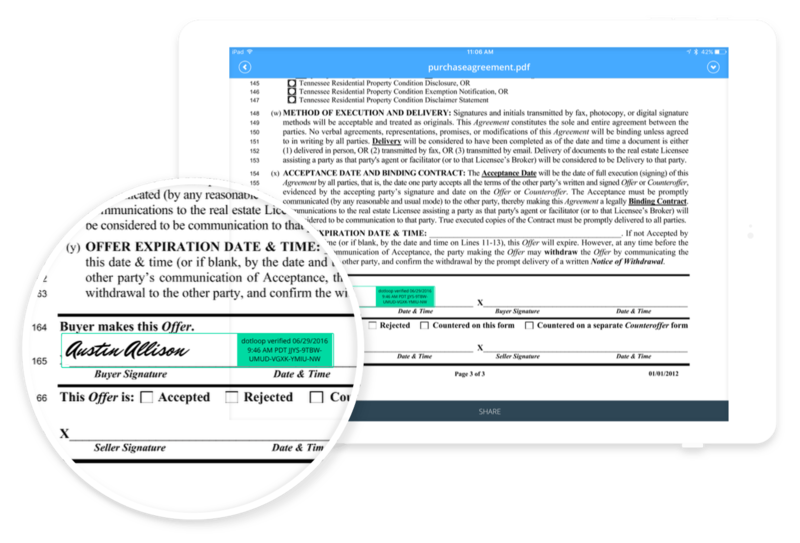 dotloop is e-sign software for agents, brokers, and teams that allows users to know the status of all transactions at every step of the workflow. Transactions can be sorted by date and monitored in real-time for valuable insight and informed business decisions. Everyone on the team can be on the same page with intuitive task management and effective team communication. dotloop allows users to set up accounts in seconds and enable teams to seamlessly hand off deals between multiple agents. Workflows and templates are completely customizable for time savings. dotloop is an end-to-end solution for editing forms, sharing files, e-signing documents, and maintaining compliance. Transactions can be accessed and updated from anywhere, on any platform including iOS and Android apps. dotloop allows for effortless editing, sharing, and e-signing, reducing errors, ensuring compliance, and storing transactions in a secure manner. Instead of juggling multiple versions of the same document, dotloop’s collaborative workspace – known as a “loop” – gives agents and clients access to the most current version. Loops make editing, sharing, and e-signing easy. Security is enhanced via automatic audit trails with patented VersionNowTM technology, which securely embeds signatures and tracks all document changes and includes automatic storage with bank-grade encryption. Easy-to-read visuals give real-time visibility and insight into activities, making it easy to troubleshoot inefficiencies. dotloop offers seamless integration into existing workflows, accounting, and CRM systems with flexible APIs. dotloop also offers customer success team to customize dotloop to organizational workflow, provide onboarding and training, and answer calls and emails 7 days a week. Still not sure dotloop is right for you? Use our Product Selection Tool to compare other E-Signature solutions. Have questions? Call one of our unbiased Technology Advisors for a free consultation. Learn everything you need to know about dotloop. Our experts will reach out to you shortly.